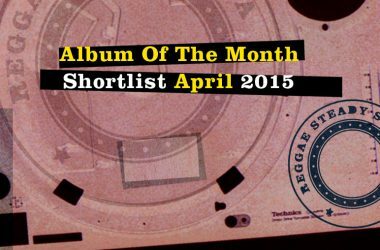 Let’s see the seven Official Ska & Reggae Video nominations for February 2015. They are so good. Since starting the “Video Of The Month” polls, I don’t think we ever had a month in which so many great video were on the shortlist. Not even close. This month the quality of the videos (and tunes) is insane. The Sentimental Moods from Indonesia release a video that has some absolutely crazy synchronised swimming going on. A must-watch. Cian Finn who comes from Ireland (and is being produced by Prince Fatty) got his new video filmed in Goa with great martial arts moves, beautiful beaches and the smell of freedom. The legendary Strike from Italy herald their comeback album riding in a stylish VW bus. India’s Ska Vengers come on strong with shocking footage, great make-up jobs and a song of epic dimensions (6:30). Moon Hop from France enter the game with “Never Go Back Home”, from the forthcoming album, due out in March 2015 on Casual Records. The Soul Radics (USA) are to be seen as bank robbers in a clip taking us back to the silent movie era. I highly recommend you take the time and watch all videos. You won’t regret it. They are all embedded in this article, or watch them in our “Video Of The Year 2015” playlist. Done? Now let us know: Which one do you like best? We made it obligatory to log in to take part in our polls to make sure that it’s “one person, one vote”. For any shout-outs, you are welcome to use the comment section. Sunny Sunday by The Sentimental Moods from Indonesia, England, Released: 7 February, 2015, Director: Leonardo Ringo, Assistant Director: Priscilla Jamail, Camera: Dimas Wisnuwardono. Click this link to vote now! Deadline for voting is 10:00 pm, Sunday, 15 March, 2015 (Central European Time). The winner will be featured on the Reggae Steady Ska homepage for the rest of the month. Happy voting. Also check the Reggae Steady Ska “Video Of The Year 2015” playlist for an overview on all the recent video releases. Hi Mochammad, thanks mate. I added them.